Home Again: Itching to Tell You!!! 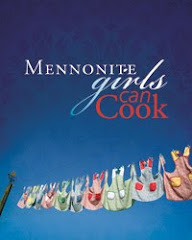 Mennonite Girls Can Have Fun! A while back we hosted our first MGCC Summit, Sept. 2010. We had planned this for months. but nevertheless, we knew how to have fun. Cooking and baking and eating were the key events. After all this is what brought all of us together. and sampling our menus with family and friends. 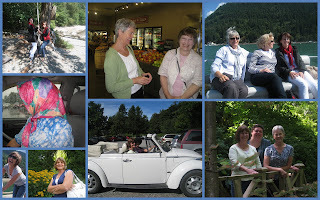 We shared our stories of life as we cruised up the Harrison Lake. How does Rosedale Post Office make the headlines? This little post office has memories for me from my last 35 years. It is located in the heart of Rosedale, a farming based community of 2100 people. I have used the services of this little post office for many years. that would last a life time. grinning from ear to ear in anticipation. And sent the document away. Check out behind the scenes what we've really been up to. We've all been itching to share this news with you. 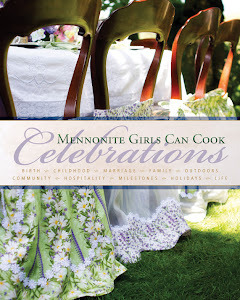 Did you know that Mennonite Girls Can Publish? Love your recap and "tell"
Marg .. glad to see you made it home before dark to get that Rosedale Post office photo. I think we met at the post office on occasion over the years. How fitting to mail our important papers from Rosedale! Enjoy your turkey...and the stuffing! Marg what a lovely post - you've told the story so well. That post office is my destination every morning as I pick up my mail so I was thrilled when Lovella decided to mail our contract from there. Congrats to all of you! This is so exciting! I am so happy for all of you. This is fantastic news. You are all such amazing cooks and fabulous ladies! Sending you a BIG Congratulations Yippee from Upstate New York!!! God bless you all and thank you for sharing your gifts of hospitality and cooking with us! Congratulations Marg!! A terrific project accomplished by a group of talented women! I want one of your cookbooks! Please let me know when they are available for the public! Yeah! Looks like a fun group of ladies! Congratulations Marg! I read the news on Judy's blog this morning and I immediately went over to the publisher's web site and pre-ordered two copies! 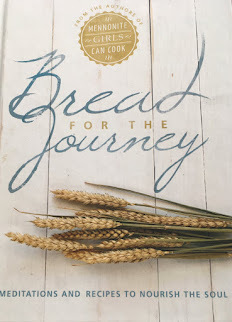 I am very happy for all of you and the good work that will be done with the profits from the cookbook. I will look forward to receiving it in June! Congratulations to all you girls! That is so exciting and I'll be looking for that book! How exciting! It's so interesting what life brings our way, isn't it? I will be looking for the book as well. Loved your post, Marg.. and I love the fact that our contract was mailed from a 'retro' post office. The sweeter the memory!